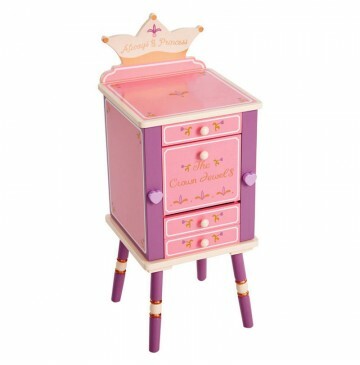 This wonderfully detailed Princess Jewelry Cabinet combines shades of pink, purple, and cream with accents of gold to create a truly unique piece of furniture. 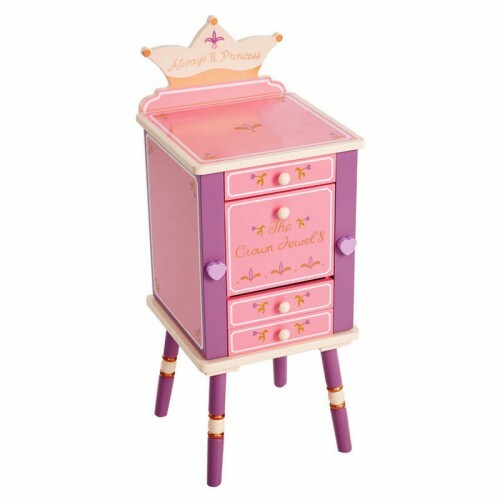 The Always A Princess furniture collection is beautifully hand painted and handcrafted with the attention to every detail you've come to expect from Levels of Discovery! Toddler to age 3, up to 50 lbs.